 PASADENA, Calif. (Sept. 10, 2018) – The Tournament of Roses announced today that Illinois graduate and Chicago Bears founder George Halas, former Arizona State and NFL offensive lineman Randall McDaniel, former Stanford head coach Pop Warner and former Texas and NFL quarterback Vince Young will be inducted into the Rose Bowl Hall of Fame as the Class of 2018.  The Rose Bowl Hall of Fame Induction Ceremony will take place at the Lot K Tent on December 31, 2018, outside of the Rose Bowl Stadium, one day prior to the kickoff of the 105th Rose Bowl Game presented by Northwestern Mutual. This year’s game will return to the traditional Rose Bowl Game format, with a team from the Big Ten meeting a team from the Pac-12 on Tuesday, January 1. The Rose Bowl Hall of Fame was established in 1989 to pay tribute to members of the Rose Bowl Game who have contributed to the history and excitement of the game, and those who embody the highest level of passion, strength, tradition and honor associated with The Granddaddy of Them All®. Randall McDaniel has been considered by many to be the best pulling guard in NFL history and was inducted into the Pro Football Hall of Fame in 2009. Prior to his professional career, McDaniel led the Arizona State Sun Devils to a 1986 Pac-10 title. The 1987 Morris Trophy winner, given to the Pac-10 Offensive Lineman of the Year, was one of the best players on the Sun Devil team that went on to defeat the Michigan Wolverines in the Rose Bowl Game, 22-15. The two-time All-American was inducted into the ASU Hall of Fame in 1999, the College Football Hall of Fame in 2008, the State of Arizona Hall of Fame in 2011 and was named to the Pac-12 All-Century Team in 2015. Since retiring from professional football, McDaniel has been an elementary school teacher in Minnesota and has started, worked with, and funded numerous charitable and philanthropic efforts in Minnesota and Arizona. 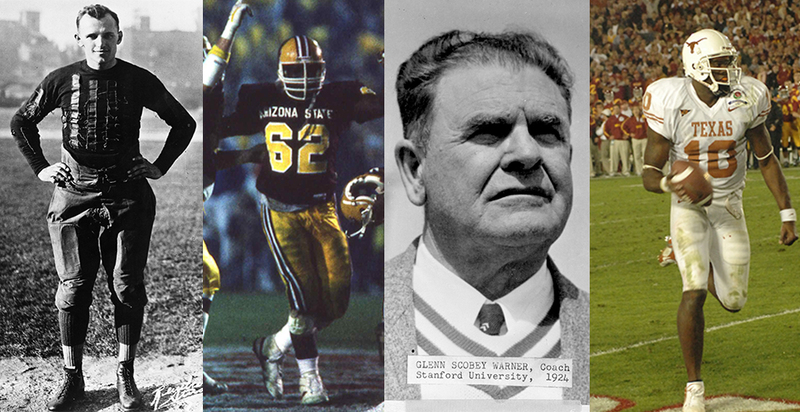 With the addition of this year’s class, the Rose Bowl Hall of Fame includes 129 inductees over its 30-year history. Inductees are honored with a permanent plaque that includes their name and year of induction at The Court of Champions at the Rose Bowl Stadium, they are featured during the Rose Parade® presented by Honda®, and are recognized on the field during the Rose Bowl Game presented by Northwestern Mutual. More information on the Hall of Fame induction ceremony can be found online.  The Pasadena Tournament of Roses is a volunteer organization that annually hosts the Rose Parade, the Rose Bowl Game and a variety of associated events. The Tournament’s 935 volunteer members act as ambassadors of the organization within the community and serve on one of 31 committees that ensure the success of the parade and game. Collectively, they contribute upwards of 80,000 hours of manpower each year. 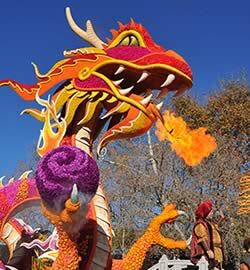 For additional information on the Tournament of Roses please visit the official website at www.tournamentofroses.com.